3 years have passed since Ayelet Shaked took on position of justice minister. In that time, a third of Israel's judges were appointed. Justice Minister Ayelet Shaked briefed the Knesset's Constitution Committee on the activities of her ministry, as well as the judges' appointments during her tenure as a minister. The data show that since Shaked was appointed three years ago, 147 new judges have been appointed, another 115 judges have been promoted and six of the 15 Supreme Court justices have been replaced. Journalist Tova Tzimuki noted in Yediot Aharonot that this is a third of the judges in Israel. 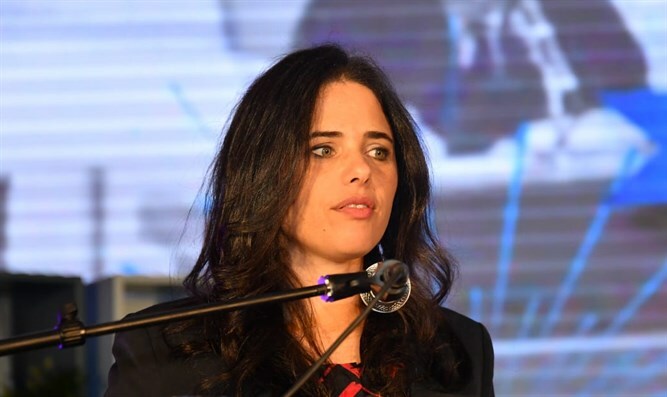 Shaked, who chairs the judges' selection committee, said that the reason for the increase in the number of judges elected during her tenure was that at the end of the term of her predecessor, Tzipi Livni, there were unmanned positions. The minister further explained that dozens of new positions for the selection of new judges were added as part of the “strategic plan” to reform the court system.